Posted on 29, August 2018 by EuropaWire PR Editors | This entry was posted in Agriculture, Industrial, Norway, Transportation & Logistics, United Kingdom and tagged farm, FISH, fish farm, fish_carrier, Nordlaks, Ottar Ristesund, Rolls-Royce, salmon, salmon farm, shipyard, Stokmarknes, thrusters, tunnel thrusters, wellboat. Bookmark the permalink. LONDON, 29-Aug-2018 — /EuropaWire/ — Nordlaks in Stokmarknes, Norway, is currently building a 385m long and 60m wide offshore salmon farm. The installation is being built at the CIMC Raffles yard in China. 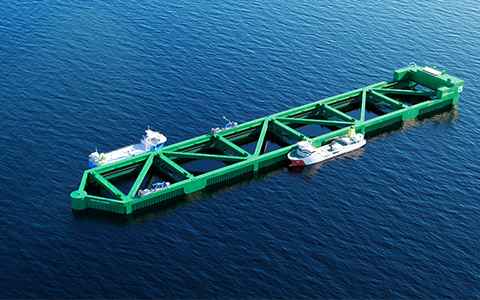 Nordlaks has also ordered a new hybrid/LNG live fish carrier (wellboat) to be built at the Tersan shipyard in Turkey. Rolls-Royce has been commissioned to provide equipment for both newbuilds, which have been designed by NSK Ship Design. Rolls-Royce employs 55,000 people in 50 countries. More than 19,400 of these are engineers..